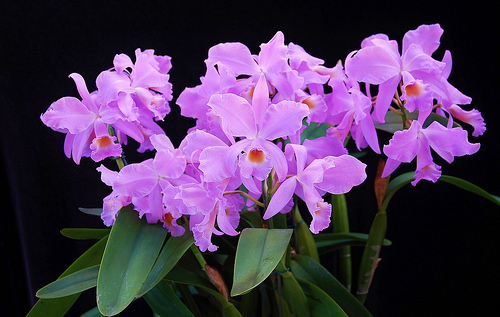 The Artistic Arrangement Group meets monthly on the first Tuesday of the month at Leu Gardens from 7:00 to 9:00 p.m. Members of this group receive “hands-on” experience from outstanding floral designers in making orchid corsages and arrangements. 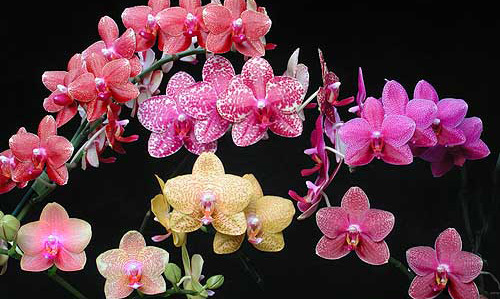 The group also administers the Artistic Section of the Society’s orchid shows. The meetings are fun and informative. All members of CFOS are welcome to attend the meetings. Please note that men attend this group also! The Cultural Study Group is the best bargain in town. 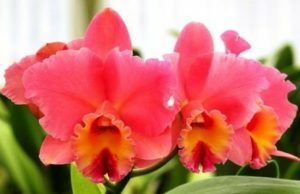 For only $5.00 a year, beginners and experienced growers alike meet once a month to learn how to grow orchids. All CFOS members are welcome to join the Group. Meetings are held at 7:00 p.m. on the first Thursday of the month at Leu Gardens. Each meeting features a program such as Heating Greenhouses, Misting Systems, Staking Flower Spikes, or Orchid Diseases and Pests. Members are encouraged to bring “problem” plants so the experts can offer advice and use them as a teaching tools for all the members. There is also a plant table at each meeting so members can share their healthy blooming plants. Occasionally, the group works together at meetings to divide and repot plants. Activities outside the meetings include field trips such as re-potting orchids for UCF and offering potting assistance to new vendors. Members of the group also volunteer to grow small plants at home which will be used for future auctions. The Cultural Study Group has an annual holiday party and plant exchange in December. This group really knows how to have fun because an annual picnic is a tradition also. 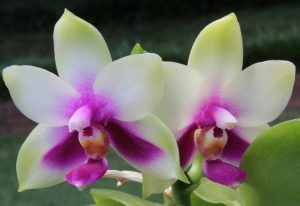 The members are good cooks as well as good orchid growers! This committee will be an on-call group made up of volunteers with one chairperson. The vision for the committee came about from hearing of too many stories of members needing extra hands during emergency situations and not having enough hands-on deck to remedy the situation before it became dire for the plants. We all have heard the stories of disasters and many, many lost plants. This is how we can do the most good and help. By signing up for this committee you will be asked to go out to members’ homes to help. This could be rebuilding a shade house, cleaning up, repotting, moving plants out of sun etc. All of this, while in some cases sharing growing tips. When the call/email comes in for the Greenhouse Busters the Chairperson will send an email out to the committee with date, time, location and general idea of the job. When you receive this email, please do your best to clear the date/time & join us helping our fellow members! Need Greenhouse Busters and/or interested in joining the group, contact Lori Erlacher at VP@cflorchidsociety.org.